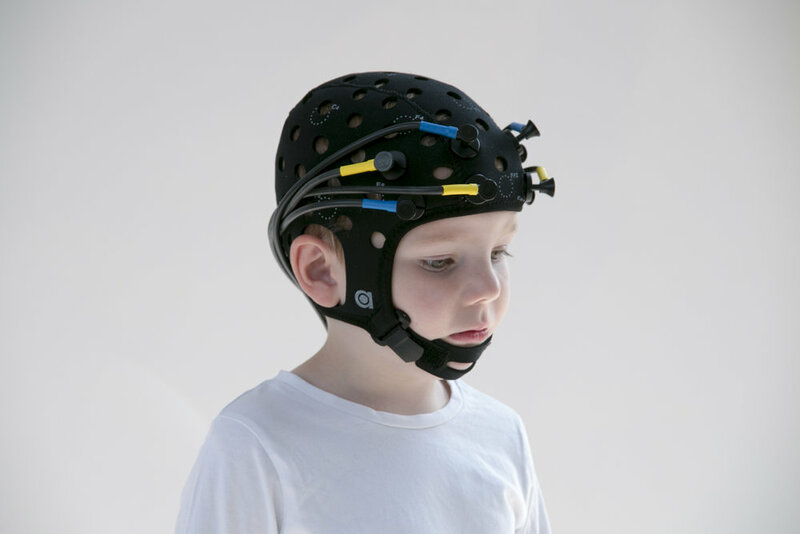 Our most advanced and versatile fNIRS system. Measure oxy-, deoxy-, total hemoglobin concentration changes, and tissue saturation index (TSI) in both brain and muscle tissue. For which application(s) would you like to use the OxyMon? The OxyMon is a very flexible system. It is possible to measure with multiple configurations from 1 up to 100+ channels. If you already know the amount of channels you would like to measure with, please specify the number in the checkbox. If you first would like our advice about the system or your application you don't need to specify the number. 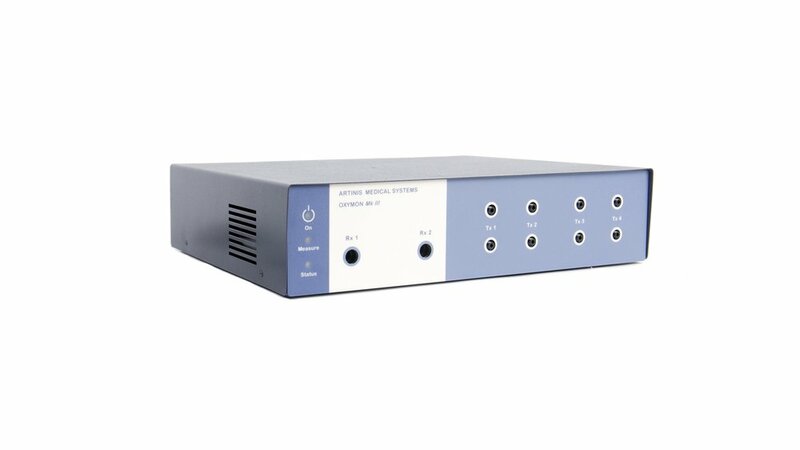 The OxyMon is one of the most versatile and fastest NIRS systems on the market. The system monitors a subject’s local tissue oxygenation non-invasively by utilizing the technique of near-infrared spectroscopy. We offer a wide range of fibers, holders, and fit-for-purpose solutions to support you as best as possible and to adapt each system to your specific needs. We deliver a set-up enabling you to measure up to 100+ brain channels simultaneously with real-time visualization. Our systems have been used for over a decade in hundreds of publications. Near-infrared spectroscopy, (NIRS), the technique on which the OxyMon is based, relies mainly on two characteristics of human tissue. Firstly, the relative transparency of tissue for light in the NIR range, and secondly on the oxygenation dependent light absorbance of hemoglobin. To learn more about NIRS please visit the theory of NIRS page. 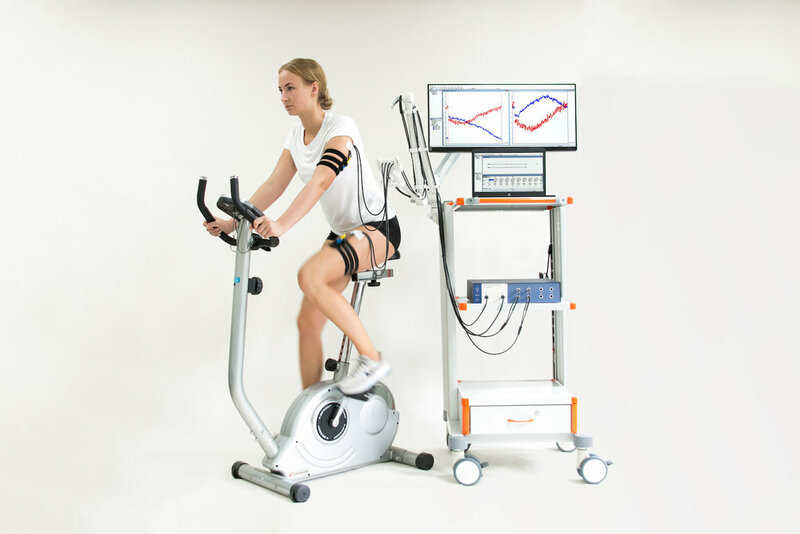 The OxyMon has been used in almost all thinkable fields of research like study the aging brain, the brain at high altitude, functional connectivity, functional testing and for brain-computer interfacing (BCI). 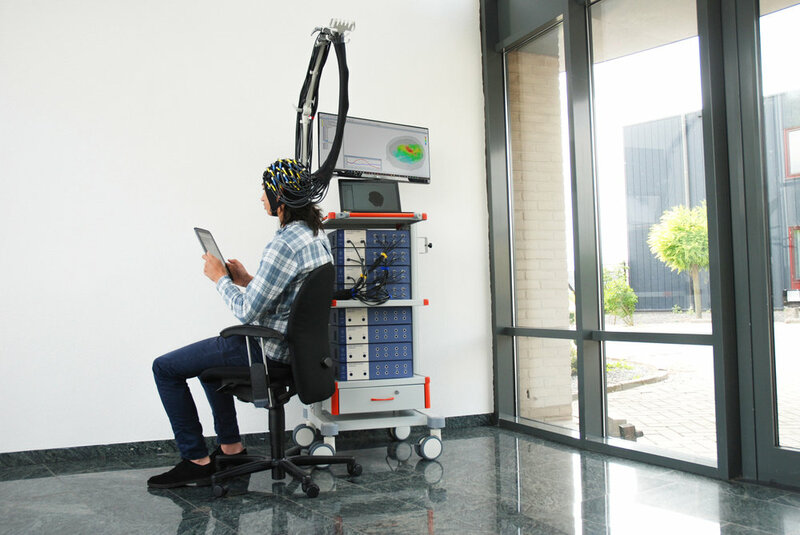 The system can be combined with other techniques such as EEG, TCD or MRI. We even offer fully integrated NIRS/EEG packages. We offer OxyMon systems from 1 channel up to 112 channels. The 112 channel setup includes a custom build cart and enables you to measure on four subjects simultaneously. Our system is built up from cabinets. With one cabinet, you can make a maximum of 8 channels. By combining multiple cabinets, more channels can be made. The cabinets can be stacked and used as one big system, but every cabinet also works as an independent smaller system. Metal or plastic fiber ends. At Artinis we designed and developed our own head-cap. 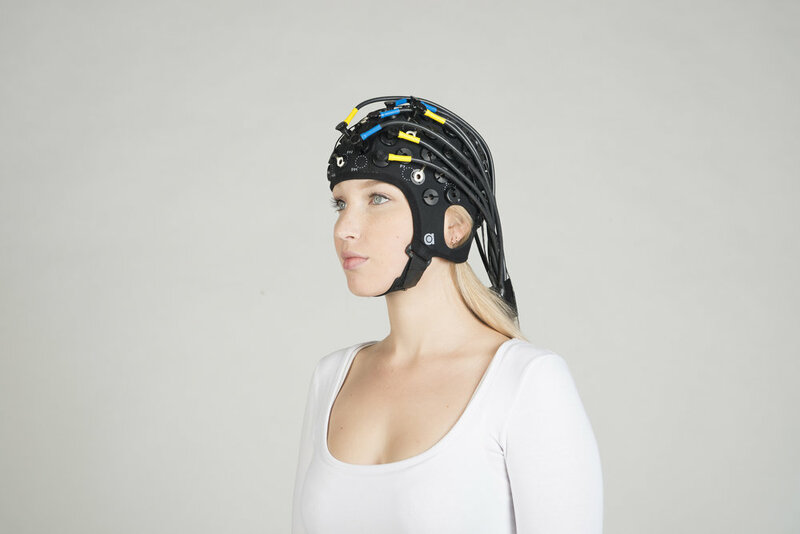 This head-cap shows major improvements over the other commonly used NIRS head-caps, such as EEG caps. In comparison to the standard caps, it covers the entire scalp and prefrontal cortex, provides equally divided pressure, freedom of head movement for the subject and absorbs external light due to its fabric. All head-caps show printed optode marks and 10/20 system indications. You are able to create your own custom optode template with the delivered tool. Sizes available: XXS, XS, S, M, L, XL. Besides head-caps, we also offer holders for muscle measurements.